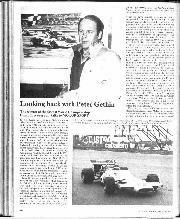 "A while ago I was chatting to the manager of a good, young British driver," laughs Peter Gethin. "He told me that his charge couldn't possibly fly at night because he would be too tired for his race. I mean, for chrissake, we used to hop off a transatlantic flight, jump into our cars and race like hell. 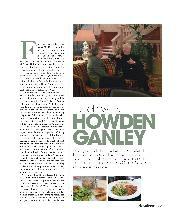 Then we would go out and pull the birds." Gethin the racer, Gethin the Lothario, perfectly encapsulated. Yet while the image of this one-time GP winner as a Jack the Lad who could drive a bit when he wanted to is understandable, it's undeserved, too: history has likely short-changed this Epsom-born son of a famous jockey. Not that he seems in the least bit perturbed. "I lived and breathed racing. When I was doing F3 in the 1960s there were a lot of good drivers who could've made it but who lost heart and moved on. 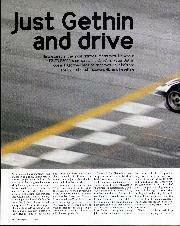 I get asked, 'How do I become a driver?' and I say, 'How much are you prepared to give up?' You have to be prepared to shoot your mother if it means getting a drive. I never shot mine, I hasten to add — but you get the idea." Indeed. "When I left school I got an apprenticeship at a Ford dealers. I didn't know what I liked about cars, but I knew that I didn't like working on them. I used to go with another apprentice to Silverstone and Goodwood and see all my heroes: Moss, Brabham and the rest. It was while watching them from the stands that I decided I wanted to race. 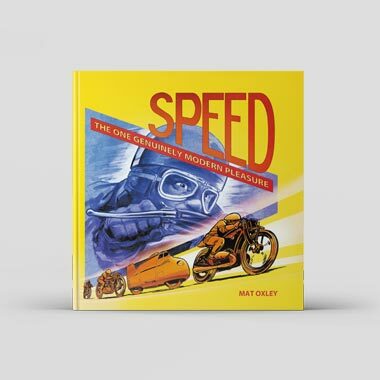 I didn't have any money at the time, but then I got a few bob on my 21st birthday and borrowed some more to buy a Lotus Seven; it was a proper racing job that had belonged to a Kent Ford dealer called Harry Epps. He only had one arm but drove very quickly. I bought the car for £750 and took it to Brands. This was in the summer of 1962. By the end of the day I'd pretty much gotten the hang of it (he neglects to mention getting pole and leading the race). I then did a few sprints — won the first one, I think — and enjoyed it so much that I sold the Seven and borrowed more money to get a Lotus 23 sports-racer. "I built it from a kit, with the help of a friend, in a garage in Dorking owned by Rob Walker. We didn't really know how it went together and it was lousy to drive. At the end of the year I got Tony Hegbourne — who was later killed racing — to have a go in it; he had been very successful in 23s. He came back in, said something rude and then taught me how to set it up. After that I started winning races and the following year I won the Guards Championship." 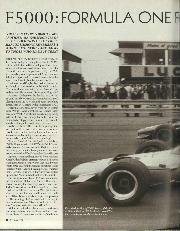 Which in turn led to F3 in 1965 as a team-mate to Piers Courage and Jonathan Williams at Charles Lucas Engineering. "To be honest, I was a bit of an outsider as they were all old friends; I'm pretty sure I was only invited because they liked my girlfriend. Unfortunately, I had a Lotus and they were in Brabhams, a much better car. 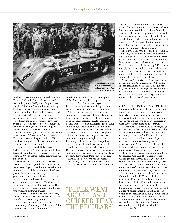 Even so, I had quite a good year and won a few races — the team's first, in fact: a national event at Croft." Enter Chevron. 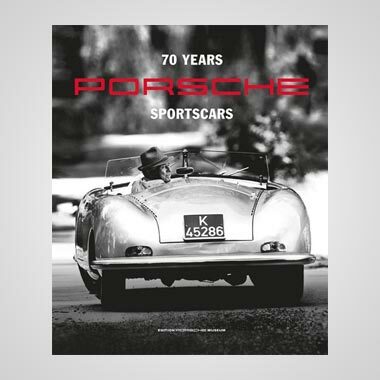 "During 1966 I was driving in F3 for Rodney Bloor of Sports Motors in Manchester and was asked to test the new prototype Chevron sportscar (then known simply as the 'GT') at Oulton Park. I didn't really know what to expect, and when I first saw the car it didn't have any doors or rear bodywork. The quick car then was John Miles's Willment Elan; the Chevron murdered it. I broke the record umpteen times (eventually by 6sec) until I had a spin and they called me in. That was my introduction to Chevron and Derek Bennett. "Derek was a lovely bloke and a great engineer: a really good driver, too, (they shared a Crosslé 9S in that year's TT and were second in class). "He was very much from the Bruce McLaren mould. They were the type of guys who inspired you to do anything they asked. You would have raced for nothing just to have worked with them. Derek's righthand man Paul Owens was another hard worker and a clever engineer; his contribution to Chevron is probably underestimated. "Towards the end of 1967 I drove the B7 (Chevron's first single-seater) in F3. It was good, though not as forgiving as the Brabham — but from there on in I was a Chevron man to the end. That said, the B10 I raced in F2 in 1968 with 'Farmer' Frank Lythgoe's team wasn't that good. It was effectively a bigger-engined F3 car, and though we got points at Pau (for fourth) it was obvious that this wasn't a winning car. So we bought a Brabham BT23C and started to do a lot better: I was second at Albi. Bruce McLaren saw my results and I got a drive in his semi-works M10A F5000 car for '69. It was run by 'The Colonel' Bernard Hender, Derek Bell's stepfather; he was a lovely guy. I learned a fantastic amount over the winter working with Bruce and I had the title wrapped up by mid-season. 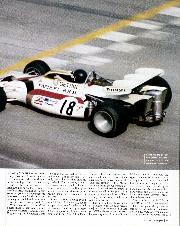 "The idea for 1970 was that I'd continue in F5000 then graduate to Formula One. Bruce had told me during the winter that he was going to step down from F1 the following season and, if all went well, I'd drive the second car to Denny Hulme in grands prix. That's what happened — but in the most horrible way. "I'd gone to Goodwood to test the M14, my first time in an F1 car. I was going to do the Belgian GP at the old Spa, which would have been a daunting debut — but I'd have driven to the moon if Bruce had asked me. Then he was killed. My road car had broken down on the way to the track and so I was late. I was being strapped into the F1 car while Bruce was out in the Can-Am car. Then we saw smoke rising from the main straight. He'd hit a concrete marshal post and was obviously dead. 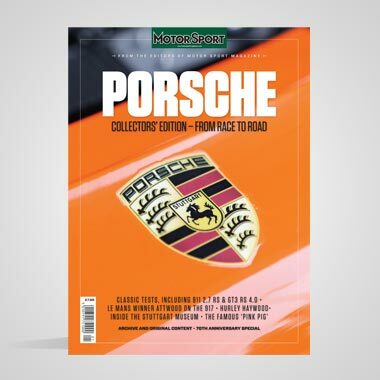 "Understandably, we skipped the Belgian race and I had my first F1 outing at the next GP, at Zandvoort: I drove one car, with Dan Gurney in the other (Hulme had burnt his hands at Indianapolis). I was a bit faster and I think that upset Dan a bit, but not in a nasty way. Anyway, I spun off and got beached up on a sandbank. As I was walking back I saw more smoke: Piers (Courage) had been killed in his de Tomaso." Welcome to F1. "After Bruce died the team was run by Teddy Mayer — 'the Wiener', as he was known at the factory — and we didn't really get on. As well as F1, I also did a few Can-Am races but was there only to back up Denny. For my first race, at Alberta, I was second in qualifying and was told, 'Finish where you like but don't win.' Following Denny was quite easy for the first 100 miles but the second half was tough. I finished second. I was quicker than Denny at Laguna Seca and was showing off by following him very closely when I spun off on some oil. He'd seen it, but I was far too close to react. At Elkhart Lake I had to slow down to let him catch up after he'd had a spin. Then he was disqualified and I got the win, so I suppose it evened out all told. "For 1971 I was doing F1, the Interserie for Sid Taylor and F2 with Chevron." It would prove a year of mixed emotions. "Ralph Bellamy had designed this car (the M19) with rising-rate suspension; I couldn't figure it out, nor could Denny. Then Mayer informed me that I would be replaced for the last few races. We weren't getting results so I suppose this was understandable. They put Mark Donohue in the car. I was pissed off but went along with it. Mark was a great engineer and test driver, much like Bruce, so I could see the logic. 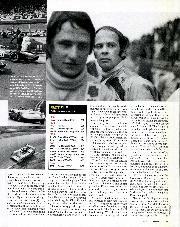 At that time I had been approached by 'Lord' Louis Stanley to drive for BRM in 1972. He was putting his team together and had landed Marlboro as its sponsor. So when I was told that I wouldn't be completing the season, I said to him, 'Why don't I drive for you now?' I have to admit getting satisfaction from giving Mayer the two-finger salute." Even more so after winning so memorably at Monza. "That was my second race with BRM. It's nice to have won a GP; it's been worth a lot over the years. I drove a bloody good race. It wasn't luck. After I lost the tow I drove the nuts off that car in the closing stages and was gaining a couple of tenths a lap until I got to within 4.5 seconds. There was so much clean air that I gained about 20mph. I over-revved the f****r and caught them all up. I thought, 'I've done the hard work, now I'm going to win this thing.' I reckoned I needed to be in the first three exiting the Parabolica on the last lap. 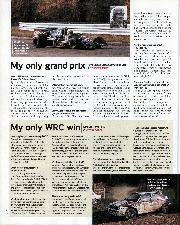 My car was good, though I reckon François Cevert (Tyrrell) and Ronnie Peterson (March) were confident that they'd win. I moved to the inside, braked incredibly late — and couldn't stop the damn thing and went sailing past everybody. I was very sideways and just booted it. Then I had a thought, 'I'm in Italy, full of excitable people.' The circuit had no photo finish equipment so I raised my hand to make it look as though I had won; they wouldn't want to take the trophy back after the fact: it would look bad. I got £800 for winning. I was staying with an Italian girl at Villa d'Este and my bill came to half my winnings! " I was in pretty good shape for 1972 and had signed for something like £5000 plus bonuses for points. 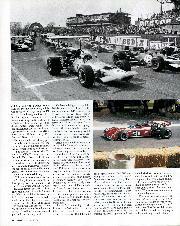 Unfortunately, BRM tried to field five cars when it only really had the facilities to run two. Nothing went right. Stanley would blame everyone but himself. He could be good fun, but mostly he was pompous. I had a pretty unhappy year. I'm pretty sure I could have stayed in F1, but thanks to my links with Chevron, I had a good offer to drive for Doug Shierson in the US. He paid good money. We won the 1973 Brands Race of Champions but it was a lucky result. I'd won the F5000 race the day before, too, and Doug thought he had signed the greatest driver in the world. But the rest of the year didn't go so well." So no thoughts of persuading Bennett to build an F1 car, then? "I don't think he was capable. By that I mean his sportscars were the best, some of his F2 cars were good and his F5000s were okay but not as good as the Lolas. Having said that, I won a lot of races in them (and the 1973/74 Tasman series in the VDS B24). But I just don't think he was an F1 man. There was talk of him going into F1 but there was no way it would have worked, not when you're building cars for other categories as well." So in 1977 Gethin quit driving and switched to team management and PR. "I'd spent about five years travelling to and from the States and was sick of it. The thing was, I still loved driving. What I should have done was race in Europe when and where I wanted to — but my son was born that year and so it seemed like a good idea to stop. I believe in fate. I remember racing at Rouen in an F2 Chevron in 1972. Going past the pits and down the hill, the car turned left. I thought, 'I bet the bloody wheel's fallen off! They're going to find me so deep in the woods...' I waited for the impact — and it was the worst crash I ever had. I chipped my knuckle. That was it. A year later Gerry Birrell was in our team. I'd found the best combo of tyre compounds. They took them off mine and put them on his car for his heat. On his first fast lap he had one of my tyres blow out and his car turned left about 20 yards on from where I had gone off a year earlier. But instead of the Armco being at 20 degrees they had brought it through to almost 90 to house an ambulance. Poor Gerry went under the Armco. Fate. "I've been invited to race at the Goodwood Revival (he drove a BRM V16 at the inaugural event), and I take my hat off to Charles March, but why would I want to relive old glories? I love the fact that Stirling still enjoys his driving, but I'm not tempted.